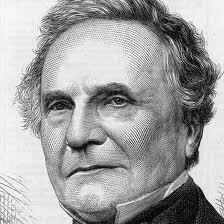 Charles Babbage (1791 – 1871) was born in London, England. A mathematician, philosopher, mechanical engineer and computer scientist who originated the idea of a programmable computer. Babbage wanted to find a method by which computations could be calculated mechanically, removing human sources of error. He first discussed the principles of a calculating engine in a letter to Sir Humphry Davy in 1822. The 1820s saw Babbage work on his 'Difference Engine', a machine which could perform mathematical calculations. A six-wheeled model was initially constructed and demonstrated to a number of audiences. He then developed plans for a bigger, better, machine - Difference Engine 2. He also worked on another invention, the more complex Analytical Engine, a revolutionary device on which made him the first computer pioneer. It was intended to be able to perform any arithmetical calculation using punched cards that would deliver the instructions, as well as a memory unit to store numbers and many other fundamental components of today's computers. Based on Babbage's original plans, the London Science Museum constructed a working Difference Engine No. 2 from 1989 to 1991, under Doron Swade, the then Curator of Computing. This was to celebrate the 200th anniversary of Babbage's birth. 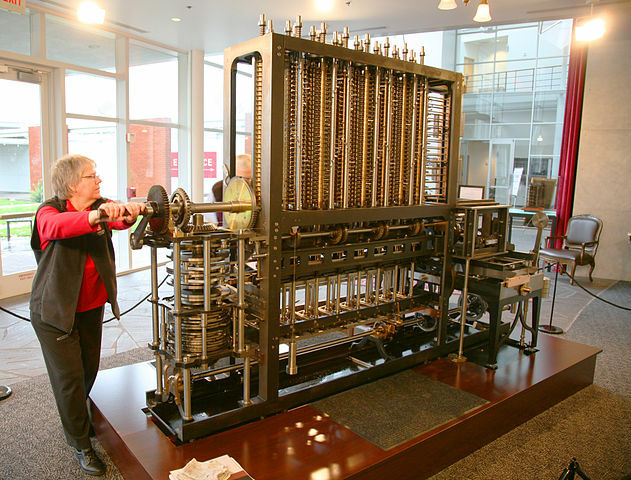 In 2000, the printer which Babbage originally designed for the difference engine was also completed.